Born June 5, 1905, at Madoc, Ontario. Tom graduated from Tweed High School in 1921, and from the Ontario Business College. He worked for the Nichols Chemical Company for 42 years, eventuallay becoming chief clerk, and retired there July 1, 1968. Spouse: Gertrude Clark (d. June, 1973). 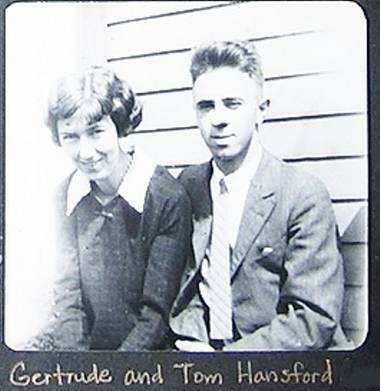 Tom and Gertrude lived in Gouverneur, New York, for most of their married lives.